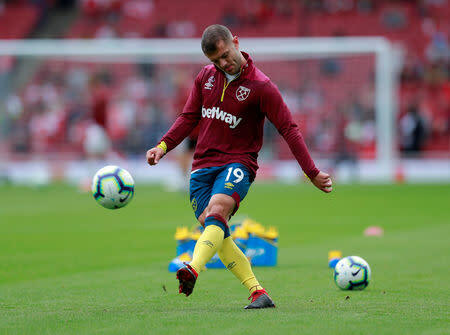 (Reuters) - West Ham United midfielder Jack Wilshere's return after an ankle surgery has been pushed back but in an welcome boost striker Andy Carroll was back training on the pitch, manager Manuel Pellegrini has said. "Jack felt some pain the last two days here so he needs more time to recover," Pellegrini told the British media. The Chilean manager was more optimistic about Andy Carroll's fitness levels, with the striker penned for a return in "15 days" after suffering an ankle issue during pre-season.